If you don’t have an account yet, you can go to newrelic.com and create a free one. 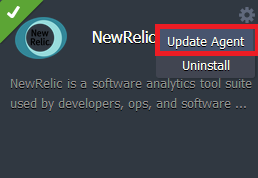 To install it on your PHP environment, login to the Jelastic dashboard and simply click on the “Add-ons” icon corresponding to the Apache node > NewRelic > Install. 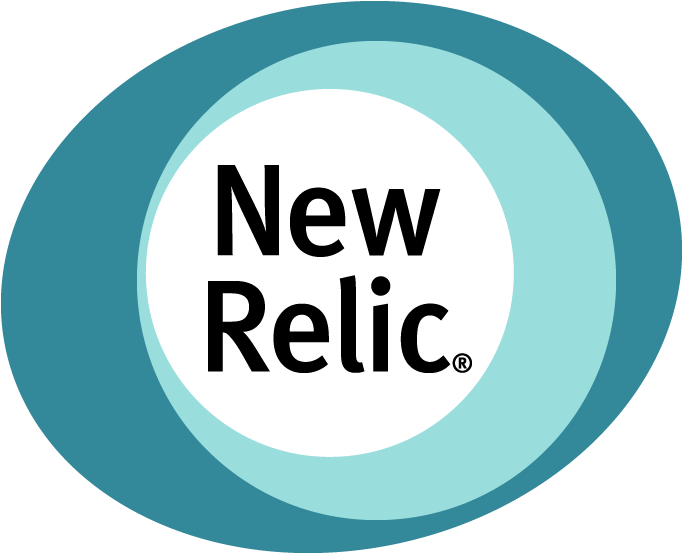 You will be prompted to enter the license key – a 40-character hexadecimal string that New Relic provides when creating the account. The license key can be found in the account > Account settings > Account information. This add-on installs the agent to the Apache or Nginx PHP runtime nodes in your PHP environments. The agent’s log files are available in the logs section for your runtime node(s). The New Relic agent profiles all of your application code, including SQL queries executed by your application – helping you to identify database performance bottlenecks (e.g. database queries that need to be redesigned or with missing indexes). Important: The web server (Apache or Nginx) MUST be restarted to complete the install. We leave you to do this at an appropriate moment, to avoid any unexpected downtime for your application. Note: The add-on is set to to perform the system updates on request, it will not notify you if an update is available. Our 24/7 Support engineers are at your service – if you need assistance with installing and running New Relic, just open a ticket and you’ll hear from them shortly. 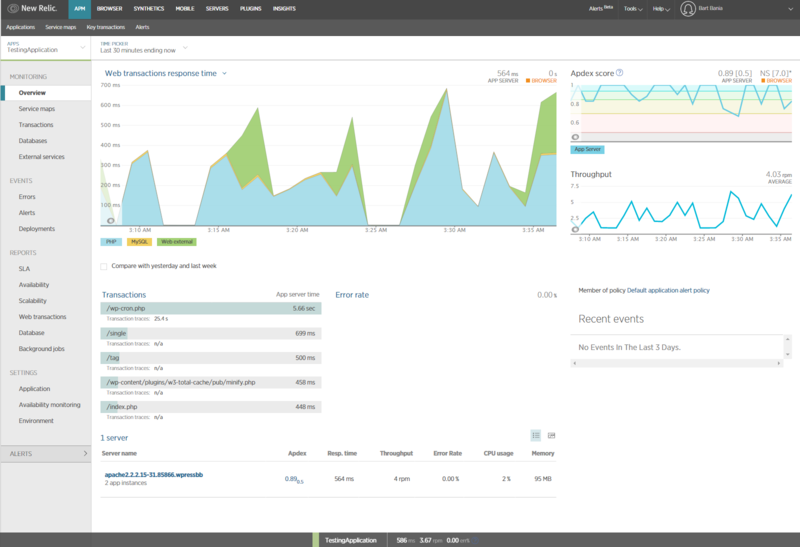 If you haven’t used New Relic yet, now is the perfect opportunity to start. 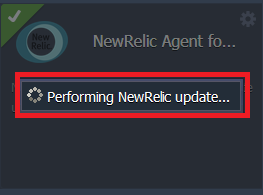 New Relic is really easy to use on our Jelastic PaaS and if you don’t have an account yet you can start a free Jelastic trial now. You have unlimited access to our highly rated 24/7 Support team during the trial, so we can help you to get everything running perfectly. We’ll even help you to migrate your sites!